Ramzan and Salman Khan go hand in hand. From the past ten years, there has been no Salman film that has not released on Eid. The megastar’s success record on Eid is 100% but looks like things are different this time as his latest Eid release, Tube Light opened to some very dull and mixed reviews. 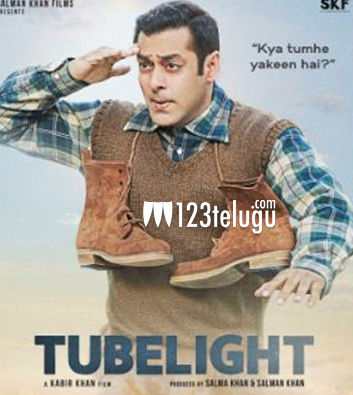 Based on the story of two brothers, Tube Light saw some very dull collections when compared to Salman’s previous films. What’s even surprising is that the film has not even touched the 30 crore mark on any of the first four days which is otherwise a cake walk for all his film to date. The lack of heroine and masala entertainment which all Salman films have is clearly lacking in Tube Light. Generally, Eid is filled with a festive mood and no one wants to see a star like Salman weeping and facing troubles in a film. Even though the film will cross the 160 crore mark easily, it will remain as a flop when compared to Salman’s recent film records.